Ventura College and Illinois State University B.S. 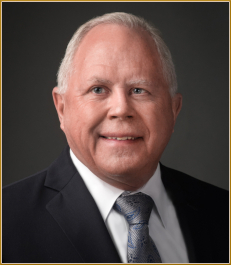 Darrell A. Woolums was born in Decatur, Illinois and is a member of Leading Lawyer Network. Representative clients include: Richland Community College, The Gerber State Bank, and First National Bank and Trust of Clinton. Significant decisions include: Foulke v. Illinois Central Railroad (largest judgment in history of Macon County); and Estate of Whittle v. Commissioner, 994 F.2d 379.